If you like to live close to nature, then you'll love the wooden family home we'll explore today. It has a spacious and uniquely calming interior with lots of interesting wooden features and a neutral colour theme. It is perfectly suited for those with children who need a safe space to tumble and explore. The wide wooden deck is raised just a few inches from the ground. This gives the outdoor area a relaxed feel and makes for a gentle transition into the garden. 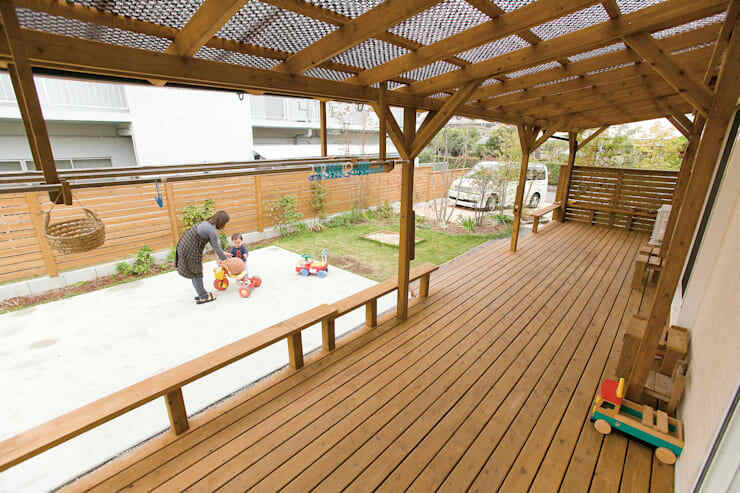 There is a small wooden barrier on the perimeter that can also double as seating space. It all has a very low key, low maintenance look. The exterior is distinguished by the huge amount of privacy and natural beauty provided by the trees. The tree species have quite a compact root system, so there is no danger of the trees impacting the structure of the home. 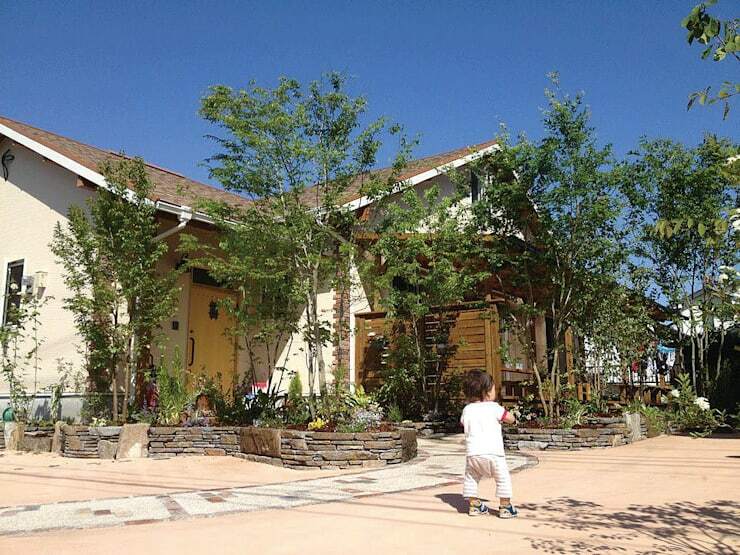 These trees also provide much needed shelter from the warm sun—thus passively cooling the home during summer. One of our favourite features in this home are the ceilings. They are set quite high, giving the home a really breezy feel. Rooms with high ceilings are said to make one feel inspired and here in the entrance, we can really catch a glimpse of that. Finally, note how the area directly in front of the door is set at a lower level than the main floor. 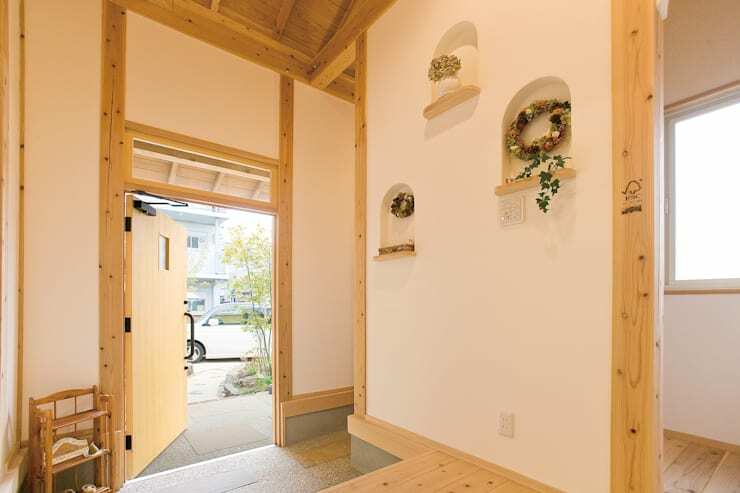 This kind of entrance is called a genkan in Japanese architecture. The undeniable star of this home has to be the exposed wooden ceiling beams. They really draw the attention upward and give the home a very impressive quality. Although this is a large space, the home still has a very solid earthy feel. This is, of course, due to the warm hues and textures of the wood. The wooden kitchen is built in a galley style with two benches running parallel to one another. 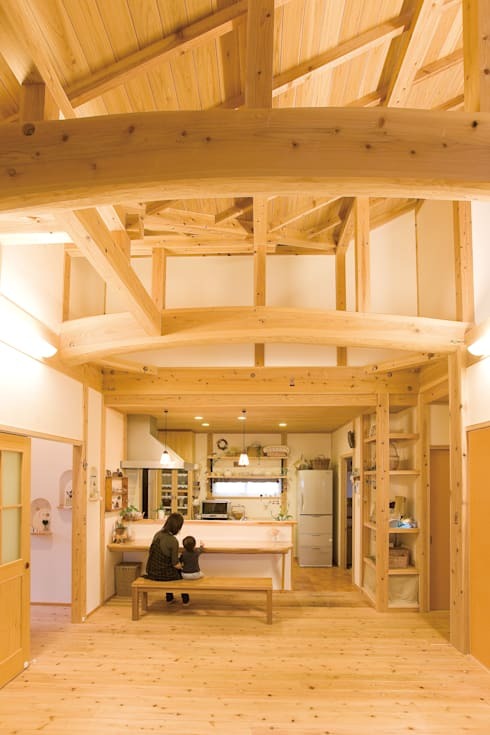 The interesting thing about this kitchen is that it has a wooden ceiling. 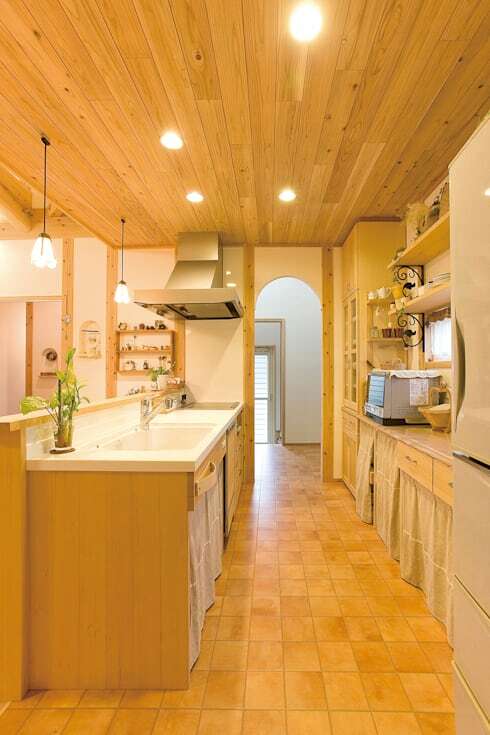 Wood is not a common choice of material for a kitchen ceiling due to the potential for problems with excess moisture. However, the home has high ceilings and lots of air-flow so this clearly isn't an issue. On a side note, check out the curved door - it adds a cute, storybook feel to the room. 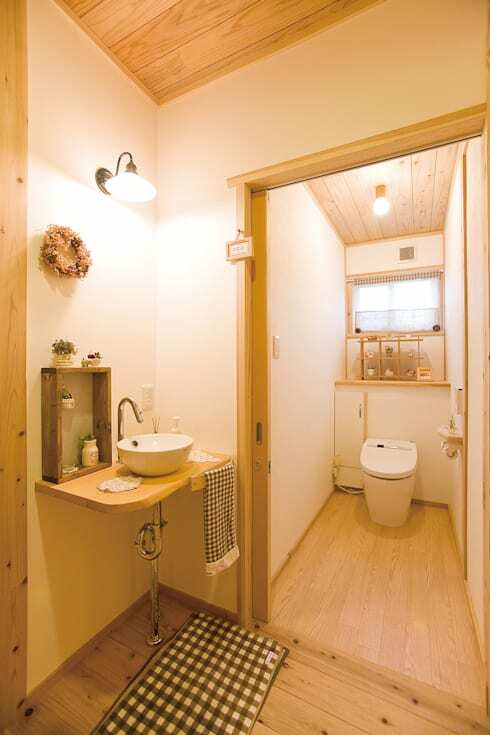 The single toilet or bathroom is small, but stylishly fitted out. The top mounted basin has a cute curved bench and the wooden trims everywhere really tie the design together. Bathrooms and kitchens are often aesthetically isolated from the rest of the interior design in many homes, but here we can see how that problem can be entirely avoided by a clever use of wood. For more natural wooden home ideas, have a look at 8 unique wooden house designs.